3001 Tk. and monthly 180 Tk. 2001 Tk. and monthly 121 Tk. 4001 Tk. and monthly 301 Tk. 5501 Tk. and monthly 461 Tk. Prohori is the first vehicle tracker created entirely in Bangladesh. Using our own technology. Can Prohori be used anywhere? Yes, Prohori can be used anywhere. We are providing services all over the country. Is Prohori available to all types of vehicles? Yes. 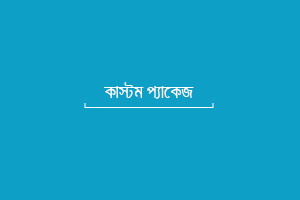 Prohori can be used in almost any brand and model of cars commonly used in Bangladesh. Then again, you can call our helpline (01708 166 166 Or 01708 166 177) to be 100% sure. Is there a possibility of damage to the car Prohori is installed on? No. Car, driver or owner of Prohori will not face any kind of damages, it is 100 percent safe. Does Prohori App support all kinds of Mobile? Why is Prohori an intelligent choice? Using Prohori will reduce unnecessary tension regarding your vehicle. Driver and vehicle control will now be in your pocket. Prohori can be a source of comfort in your busy life too. Prohori’s current users think so. How much control will I gain using Prohori? After installing Prohori in your car, you will be able to know everything about the car from anywhere. If necessary, you can stop the car at any time. In a word, you have 100 percent control in your hand. How to cancel Prohori service? You can cancel Prohori service anytime you want. After installing Prohori if someone wants to cancel the service, a single phone call to our customer care ( 01798 166 167, 01708 166 166) will do. What are the reviews of current users of Prohori? Is customer care support available in any problem? Of course, our customer care support offers 24/7 service . You can share any issues related to Prohori without any worry. Is there any cost to get customer care support? NO. Our customer care facility is completely free. What kind of support does Customer Care provide? Prohori customer care team are always ready to answer any questions or queries related to Prohori. How to talk directly with the sales team? Most of the problems related to Prohori should be solved by our customer care. However, if you need to contact our sales team, it will be arranged without a hassle. Who should subscribe to Basic Package? Generally, For those who drive their own car, the basic package will be good. However, converting to another package is possible anytime. Standard Package is applicable to whom? The standard package is usually good for fleet managers & for those who don’t prefer to drive their car. Since there is a feature addition or package diversion option, one can also divert to other packages later. What are the advantages of Premium Package and who are the desired customers? The premium package can be said to have almost all the features of Prohori combined into one. Premium packages will be more effective for corporate users and fleet managers. Since some special features like fuel and door tracking are under this package, it will specially be beneficial for the corporate clients in regards of security maximization & cost minimization. Of course, you can change packages at any time you want. Is it possible to customize the features after taking a certain package? Customers can add any extra feature while using a certain package. In that case, he only needs to pay the extra installation and monthly charges applicable for the new feature. How much does Prohori cost? Yes, a minimum monthly charge at a fixed rate is applicable. How to pay the installation charge? You can pay the installation charge before or after the installation of the device. How to pay monthly charges? Monthly charges can be paid through handcash, bKash and Check. Online payment system has been included.